Paula Becker was the third daughter out of seven children in a family that provided emotional security and confidence. When she was only 16 she received instruction in drawing in Bremen and London. After getting training to teach she was allowed to continue her artistic career in Berlin. Relatives also supported her first stays in Worpswede and, in 1900, in Paris. 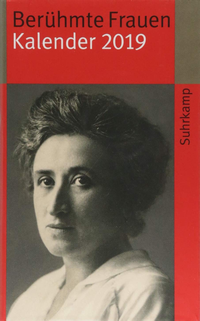 In Worpswede she studied with Fritz Mackensen and became friends with the sculptor Clara Westhoff. 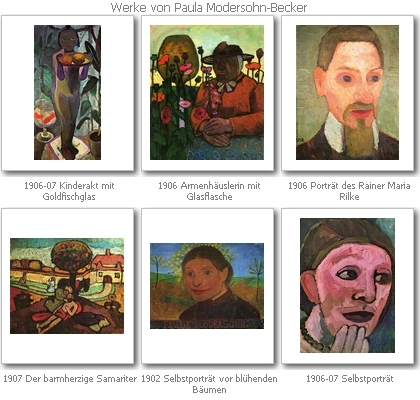 The painter Otto Modersohn, 11 years her senior, recognized and encouraged Paulas talent. They married in April 1901, and he financed her further visits to Paris (1902, 1905 and 1906-07), where she gained important new stimuli for her artistic development in the works of van Gogh, Cézanne and Matisse. Her last Paris stay, however, also represented an attempt to free herself from what had become a suffocating marriage, and brought with it an extremely productive phase of creativity in which she pushed forward into a new territory of powerful, simple self-portraits and mother-child paintings: “I am becoming something – I am living the intensely happiest time of my life.” But in the end she gave in to the pressures of her husband, for she did not see how she could earn a living herself. 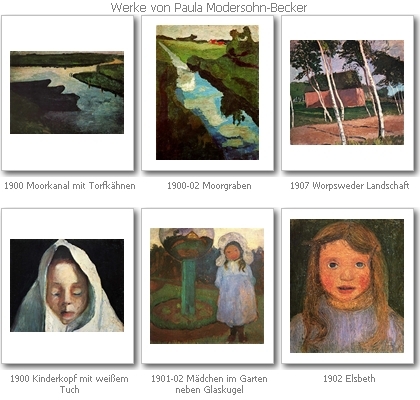 “The main thing is: quiet for my work, and that I have most at the side of Otto Modersohn.” (Letter to Clara.) In the spring of 1907 she returned to Worpswede with her husband. 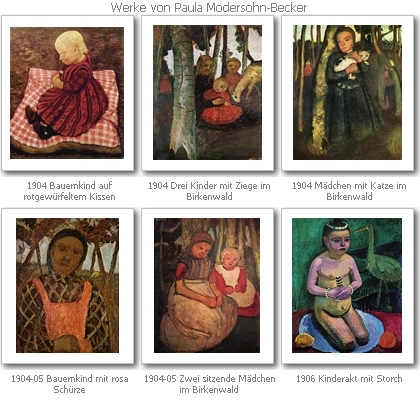 In November, after the birth of a daughter, Paula Modersohn-Becker died of an embolism. 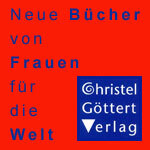 See the German page for links. 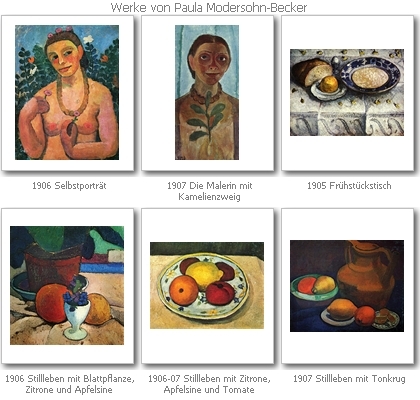 See the German page for sources, links and ore samples of paintings.